It has been seen that roof gutter and downspout cleaning is generally way down in the home maintenance priority list. 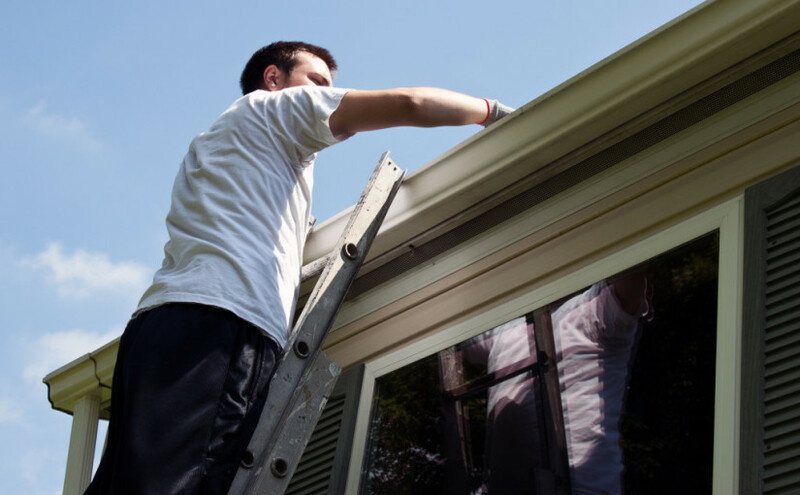 Essentially, roof gutters should be compulsorily cleared of dirt and debris and fallen leaves twice every year – in spring when trees shed seeds, flower acorns and blossoms and in fall when leaves are shed before winter. Mixed with other waste matter and water, these form a hard sludge that gets caked to the sides of gutters and downspouts. In this situation, it requires all the expertise of roof and gutter cleaning contractors in Melbourne south eastern suburbs to prise the waste loose and clean the areas. These contractors have specialised equipment to quickly and efficiently complete the work. Their trucks have hydraulic ladders which makes climbing on to the roof easy. Then with powerful vacuum cleaners the mud, sludge and dry leaves are suctioned out and sent straight into containers on the truck. If you want to do the same job yourself, you’d have to climb up on the roof which can be hazardous. Further, there will be a mess around the house which will need mopping up later. It is therefore advisable to draw up a maintenance contract with roof and gutter cleaning contractors in Melbourne south eastern suburbs and let them take the responsibility of keeping roof and gutters in perfect condition. Roof Gutter Cleaning Melbourne is one of the top companies servicing Melbourne south eastern suburbs and has been in this field for over 27 years. They are thoroughly professional in their approach and have a team of highly trained and dedicated technicians as well as the latest equipment to carry out their task. If you want efficient and courteous roof and gutter cleaning contractors in Melbourne south eastern suburbs call Roof Gutter Cleaning Melbourne now!